My favorite season of the year is just around the corner! FALL! And all of the scents and flavors that come with it - pumpkin pie, cinnamon, pumpkin spice lattes, nutmeg, vanilla, warm bread baking, soups and stews, etc. But another thing that comes with this season is the back to back holidays designed to bring family and friends together to celebrate! And everyone knows I relish the opportunity to gather with others and celebrate just about anything! 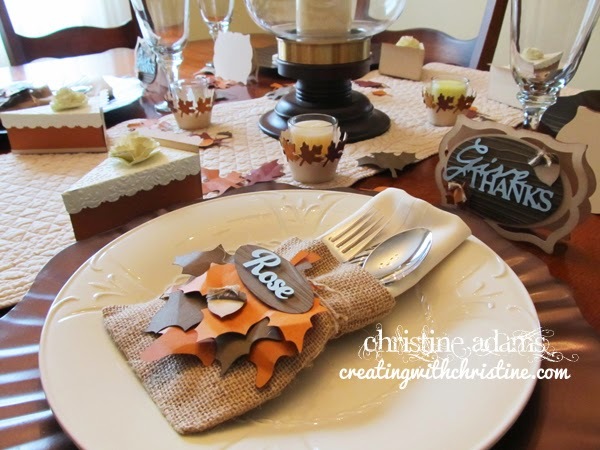 So, continuing with my CROP workshops, (there are still a few more spots open if you want to join us), here is a Thanksgiving Table Setting that is sure to please! 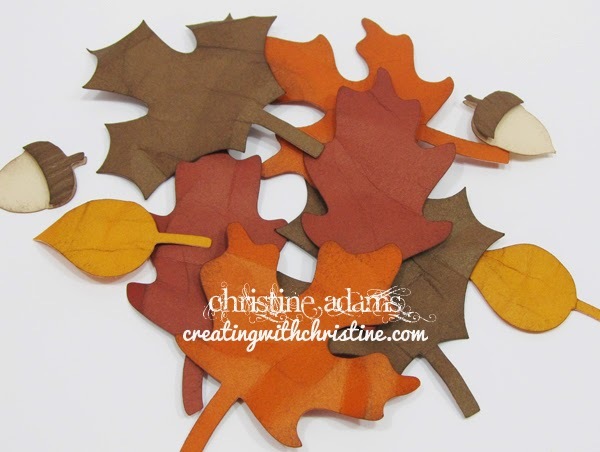 I've used the colors in our fall Pathfinding Paper pack so that you can either SAVE these decorations for next year OR incorporate them into your Fall and Thanksgiving layouts! 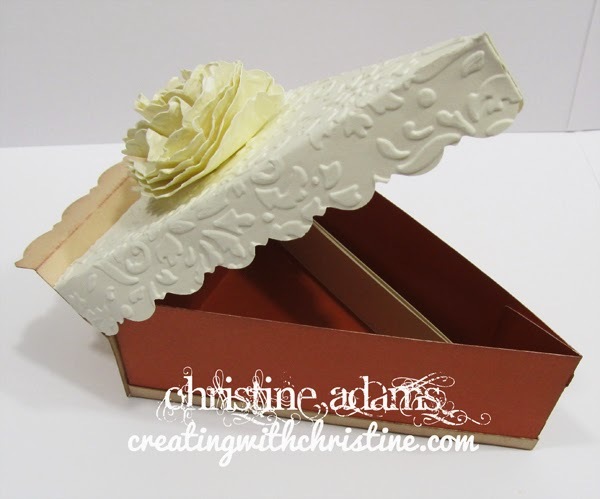 I've also used our Art Philosophy and Artiste Cricut cartridges for all of the pieces! 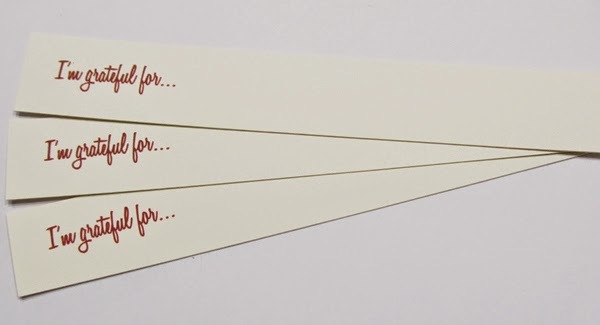 …or simply add a "grateful" tag instead. I embossed the chocolate colored oval with our new Woodgrain Embossing folder to add to the outdoorsy look! I also included a card - that you can use for your invitation, or in this case I will write a note to my guest telling them how grateful I am that God brought them into my life! You can see the Woodgrain Embossing Folder on this oval too! Love it! 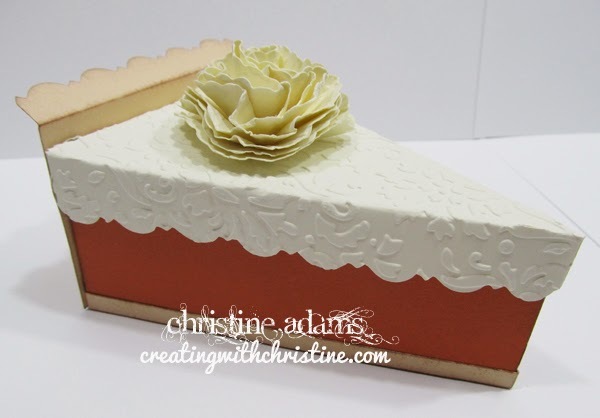 Each guest will also receive a "slice" of pumpkin pie! I tried my best to make the lid look like whipped cream and the "flower" to look like a dollop up whipped cream! I've added "crust" the the back and bottom and created a hinge-lid so they can open their pie for their goodies inside! Inside they will find 3 strips of paper for them to write what they are grateful for. Okay - does YOUR family groan when you do stuff like this? Mine does, but it doesn't stop me! It's important to articulate a grateful heart every day, let alone once a year! I will include some chocolate candies inside to help sweeten the activity! 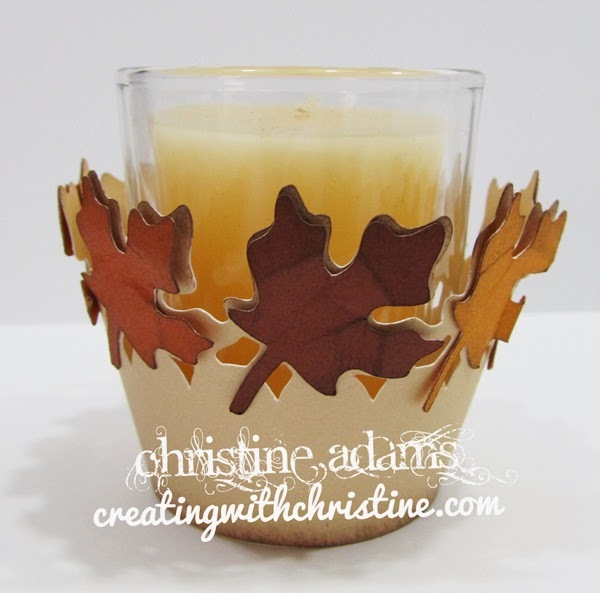 Each setting will also include Fall cupcake wrapper sized just perfectly to fit around a votive candle! I think candles instantly add a warm, cozy, welcome feeling to a room - or a table! 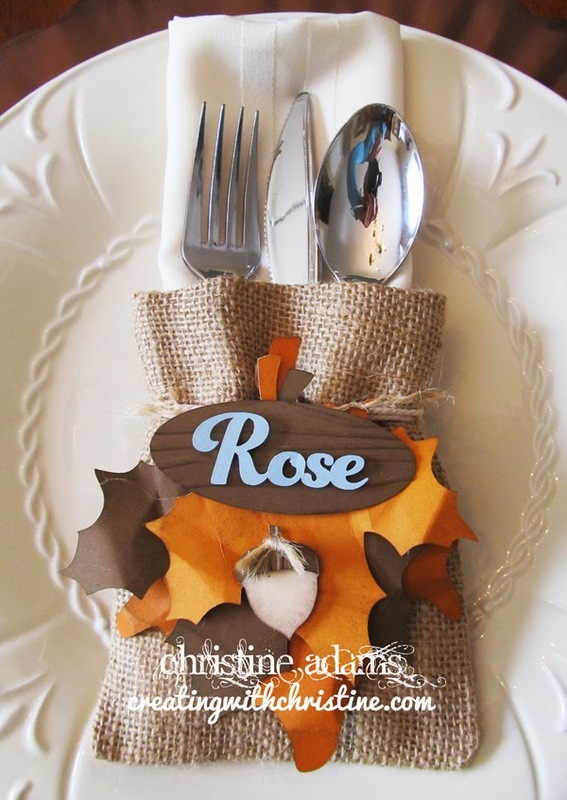 And finally, each place setting will include 8 leaves and 2 acorns to spread out around the table. The more settings you have, the more candles and leaves you have to spread out on the table! Be sure to sign up for this workshop BEFORE my crop to ensure you will have a kit waiting for you! If you aren't registered for my upcoming crop (Oct 3-5) CLICK HERE to sign up today! We are going to have a GREAT time!! Sara and I would like to sign up for this class at the crop, 6 for each of us, please. You got it! See you soon Debbie!